Bali is a magical place. Nestled in the middle of the Indonesian archipelago – between Java and Lombok – it is the most well-trodden island within the region, and for good reason. Culturally diverse, the island has a rich religious, spiritual and ethnic history meaning a wealth of activities at your fingertips. 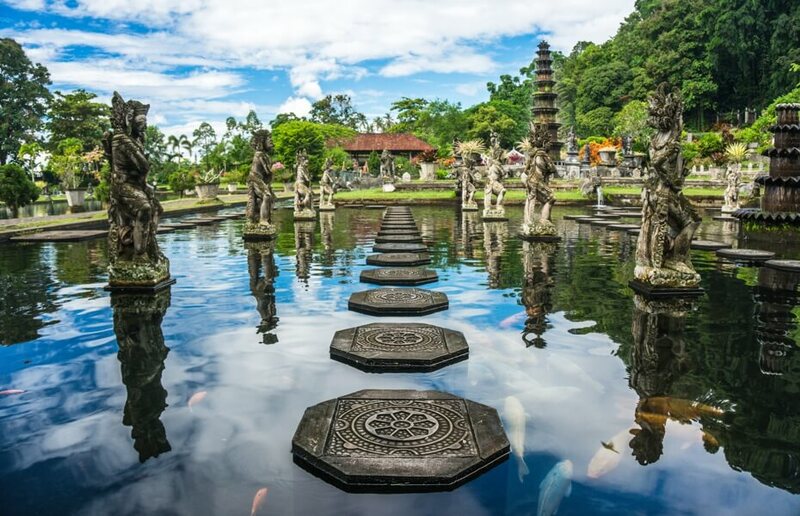 Monkey temples, beaches and rice plantations to name but a few, easy-to-organise accommodation through Asia Villas and one of the friendliest populations on the planet, Bali is arguably the top destination for any family planning their next vacation. 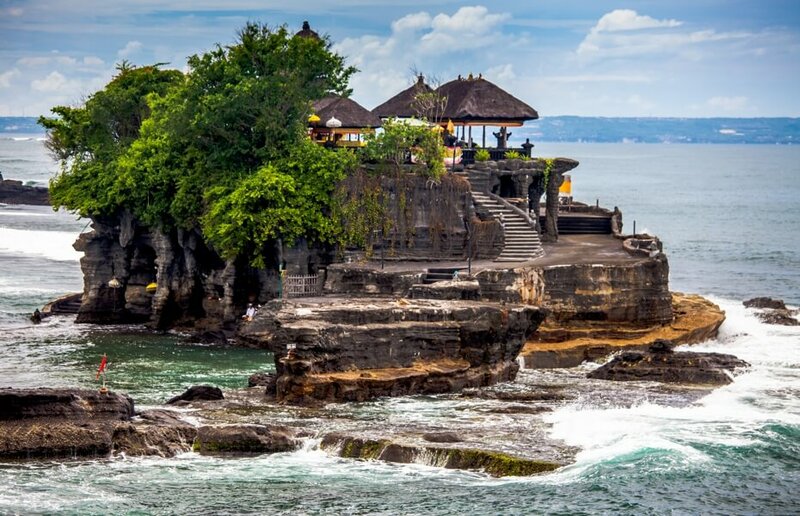 Bali’s most scenic temple, Tanah Lot is famed for sitting just off-shore near Denpasar - Bali’s main city. Located on the west coast of the island, the temple offers the perfect backdrop for breath-taking sunsets that even the kid’s will marvel at as giant waves crash down. A true Balinese icon, be sure to plan this into your route. North-east of Denpasar, this idyllic conservation area is home to over 60 species from across the continents including some of the world’s rarest and most endangered: orangutan, komodo and the Bali Mynah. The closest you could hope to get to nature, this is as much an educational experience as anything else, but an immensely enjoyable one. 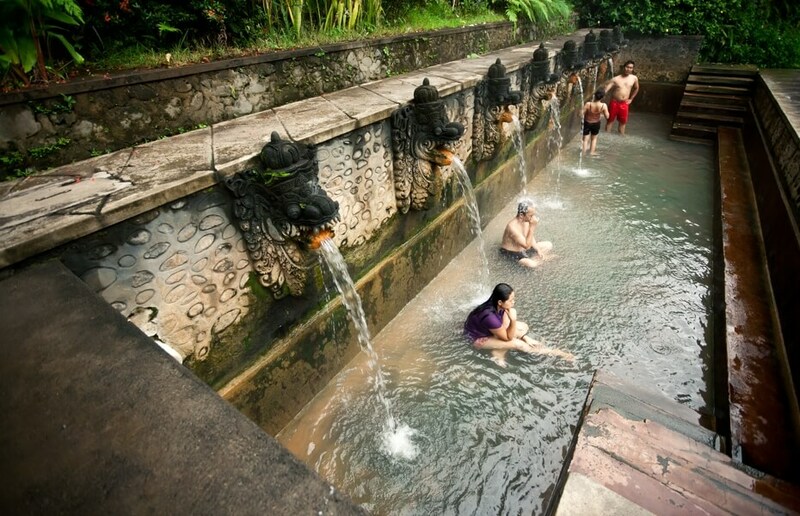 Officially translated as “Water of the Ganges” (the Hindu’s most prized holy destination), the palace offers a spectacular insight into the religious history of Bali. The awe-inspiring site and availability of fish food to throw to the koi carp will keep even the most distracted minds entertained. Another Hindu sanctuary but with a distinctly primal feeling. 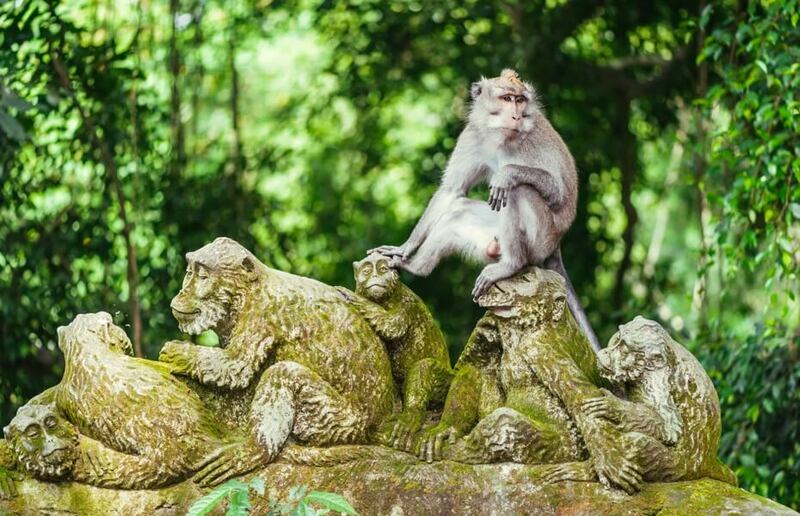 The monkey forest is a great representation of the Hindu’s innate respect for all living creatures. The community of 700 plus monkeys run wild which is great fun, just hold on to your cameras! Owned by the local village, the sanctuary is economically important and provides a vital source of income for the community. No trip to Bali is complete without a trip to Uluwatu with its intense spiritual energy and view across one of the islands most famous surf breaks; itself a mecca amongst surfers. Another monkey stronghold, we recommend taking some fruit with you to keep the primates happy as you wonder around the shrines and take in the phenomenal views. 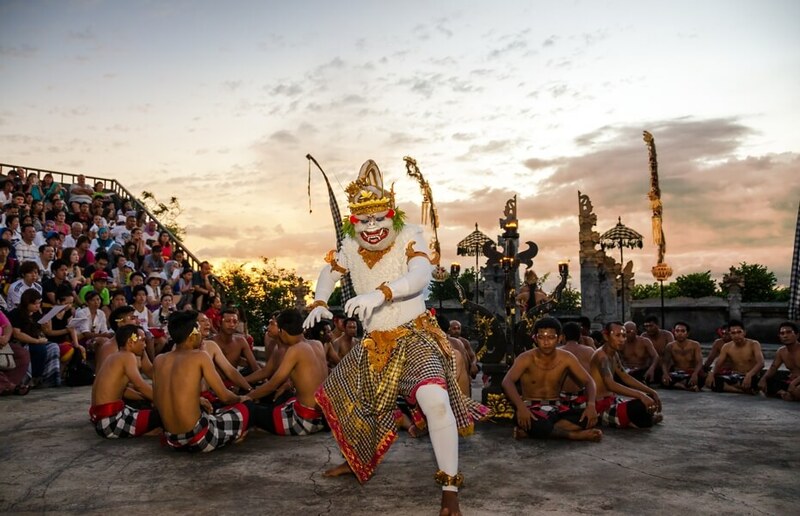 In Mid-March try to see the Kecak Dance. This traditional cultural dance known as the monkey chant is colourful, dramatic and very entertaining for families. 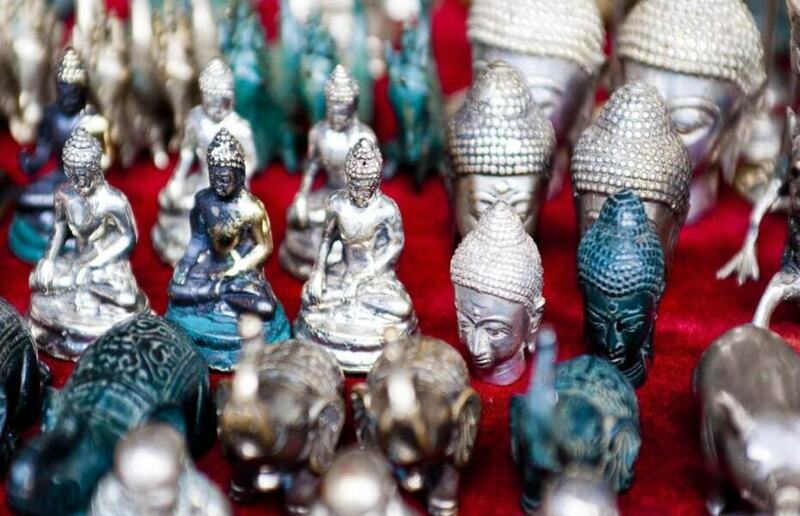 The ‘silver and gold centre of Bali’, Celuk is home to hundreds of highly-skilled artisans who perch in their workshops and turn out some magnificent artworks made of precious metals. Expensive to buy but fascinating to watch, the area gives an insight into the caste system that dominates many Hindu societies throughout the world. There’s no better way to revive a weary traveller than a naturally heated spring, unless it’s a naturally heated spring hidden in the depths of a jungle. This is a scene straight out of Disney with 3 public pools adorned with fountains that rain down; a great way to relax for a few hours. 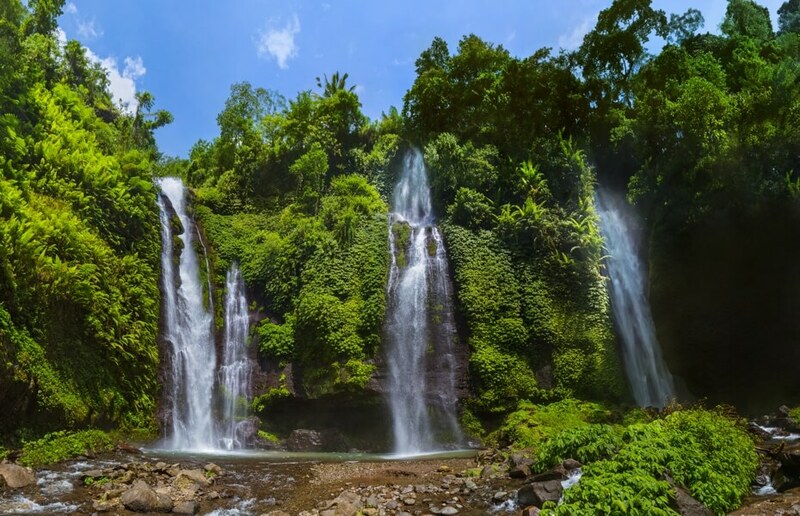 Sekumpul – or ‘group of’ – is an array of 7 waterfalls each mesmerising in their own right. Dropping out of the jungle surrounds, this hideaway in the northern part of the island is beautifully remote and worth the effort. 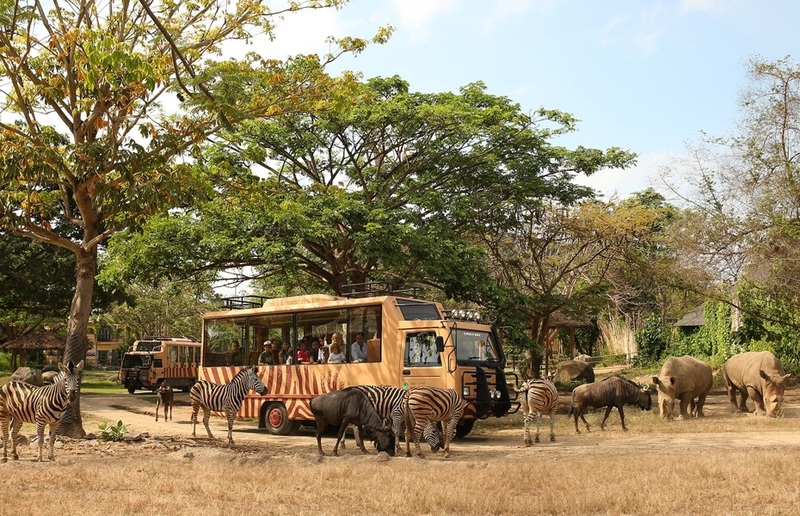 You will find a peace and tranquillity uncommon at a site of such beauty that even the kids will enjoy. 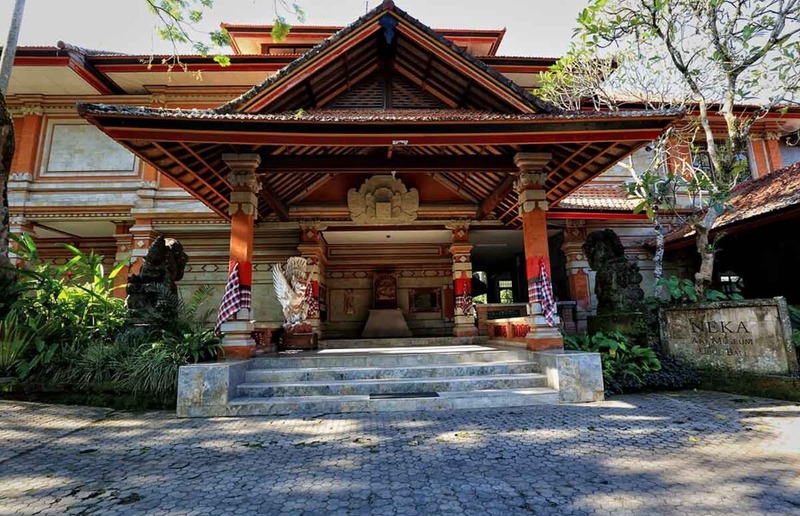 Ubud is famed amongst travellers but one of the less known gems here is the Neka Art museum. Visitors are blown away by the collection of works from both Balinese artists and expats who have adopted the island as their home. This a great reflection of the diversity of the island and has more than enough variety to grab the family’s attention. No holiday is complete without a great place to stay and Bali has hundreds of options for all requirements. 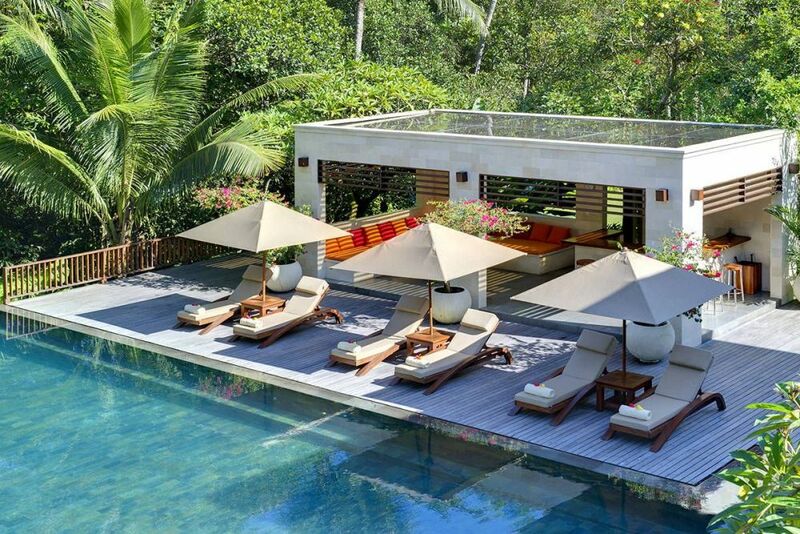 One of our favourites is Asia Villas who offer a range of family-friendly and beachside accommodation within a stone’s throw of most activities. There is no better time to book a trip to this paradisiacal island - this is just a taste of what’s on offer. Bali is the perfect introduction to Indonesia with easy transport, eclectic food and a generous population. Once you’ve left, you will already be planning your return. I am yet to meet anyone who has not enjoyed their time there. Travelling as a family is no mean feat but when in safe and friendly surrounds such as this, it can be truly revelatory.